Chalk up a major win for global health: according to the World Health Organization, Africa has been free of wild cases of Polio since July. This comes down to a dedicated vaccination campaign that has advanced the continent towards zero cases. 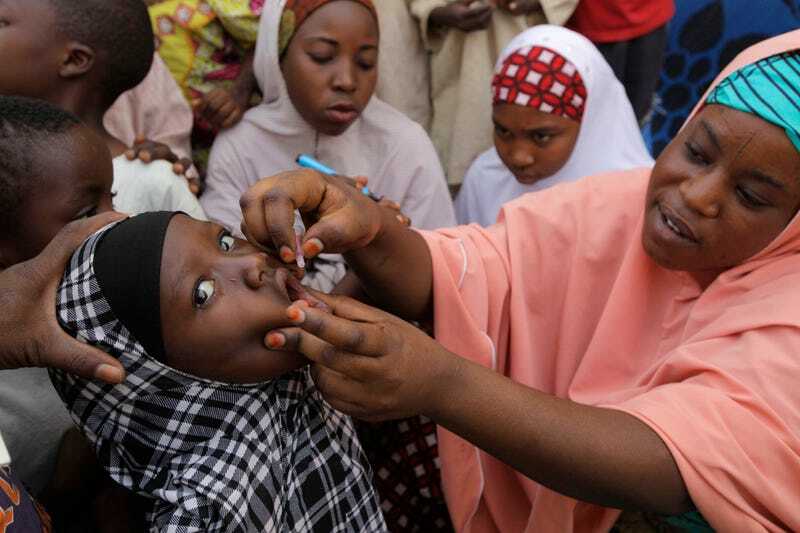 Nigeria, the last endemic country in the African region, marked one year without a case of wild polio on 24 July 2015. If continued lab results in the coming weeks confirm no new cases in Nigeria, and if the WHO African Region then goes 2 more years without a case of wild polio in the face of strong surveillance, it could be certified polio-free by the Africa Regional Certification Commission. Polio was once considered one of the most feared diseases in the United States. In the early 1950s, before polio vaccines were available, polio outbreaks caused more than 15,000 cases of paralysis each year in the United States. With the introduction of vaccines in 1955, instances of the illness fell to fewer than 10 in the 1970s, and that as of 1979, no cases of Polio have been transmitted within the country’s borders. India was the last major country in the world to report cases in 2011, and around the world, concentrated polio vaccine campaigns have pushed the illness back from human populations. The goal of the Initiative has been to interrupt the natural transmission (wild cases) of the virus, which seems to be the case so far. The next step, according to WHO, will be to continue to monitor the region for additional cases. If none appear in the next two years, the continent will be certified Polio-Free.